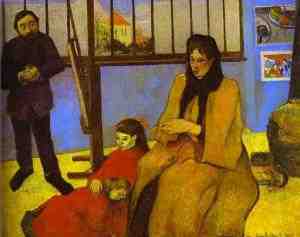 A lot of you have been clamouring to see some Paul Gauguin after yesterday's page, so here is an 1889 painting. Gee, I didn't realize they had television way back then. Wonder what was on?